Amidst the financial crisis Jet Airways has been going through, the most affected have been the pilots and the rest of the staff. Here’s a take on how the airlines can ensure a safe landing in this bad weather and how employees can take care of their own safety. In 1993, a limited liability company founded by Naresh Goyal began its journey as an air taxi operator. Later, in 1995 it began full-fledged operations and added international flights in 2004. Gradually it expanded its business and gained its market share in India to become the largest carrier by passenger market share in the country by 2010. Yes, the airlines referred to here is none other than Jet Airways. Once the largest carrier in the country, Jet Airways, is now struggling to pay its debts and retain its staff. Currently, Jet Airways has a debt of around Rs 8,500 crore. 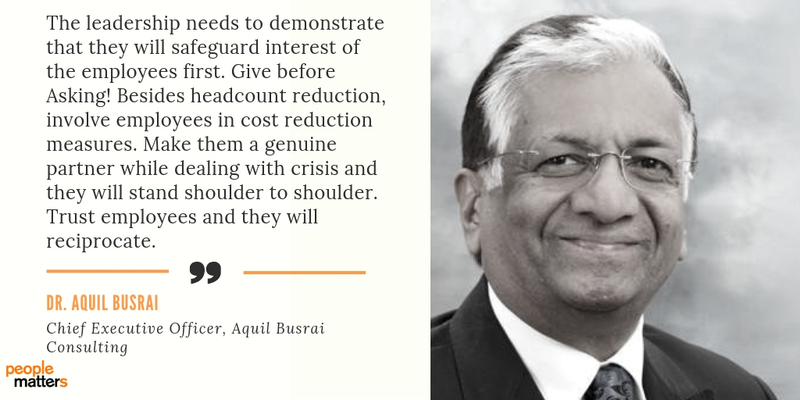 The increased debts and strained finances have been causing disturbances in the airlines’ internal teams and have been negatively affecting leadership. Besides many other senior exits, the most recent loss to Jet has been Goyal’s exit as both Chairman and board member. Goyal’s stake has also been halved from 51 to 25.5 percent. Further, Abu Dhabi-based Etihad, which owned 24 percent in Jet is now left with only 12 percent. Amidst the turbulence Jet is going through currently, the most affected have been the pilots and the rest of the staff. Waiting for their salaries for months now some of them have even quit or are looking to quit and moving to other airlines like IndiGo and Spicejet. The moment there is a cash flow issue, employee salary is the first thing to get affected. 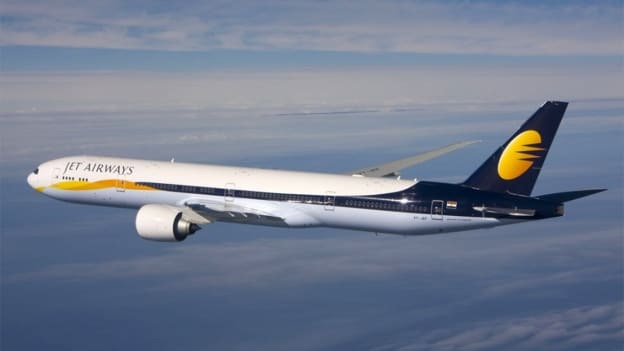 It all began in 2018, when Jet Airways laid off twenty employees in October, including some senior-level executives from the in-flight services department. Before that, it asked 15 managerial level employees from various departments including engineering, security, and sales, to leave the company. Since 2018 it has been unable to pay salaries on time as well. Recently, the pilots have threatened to go on strike is their salary dues are not cleared by 15th April. Initially, the strike was to start from 1st April, however, as the airline credited 87.5 percent of pending dues of their December salaries, pilots decided that time is given to the new interim management till April 14 to clear salary dues. With a new interim board in place, Jet Airways and its employees have some hope to get back on track and fly smoothly to have a safe landing. But how can they regain the lost employer brand value and make their way out of this crisis? And what can other companies learn from Jet’s case? The ongoing scenario has obviously done a lot of damage to Jet Airways’ image. Besides retaining its current workforce, it also has to come up with a more robust plan to attract new candidates. While it is difficult to say how Jet Airways could have avoided the financial crisis, the way talent was managed in this situation could definitely have been better. He also suggests that HR should provide timely status report and assurance to employees about the current crisis in a transparent way. Transparency is key in situations like these. It is required to ensure that the organization builds a relationship of trust with their employees. Secondly, it is important that the leadership stays connected to employees at all levels. 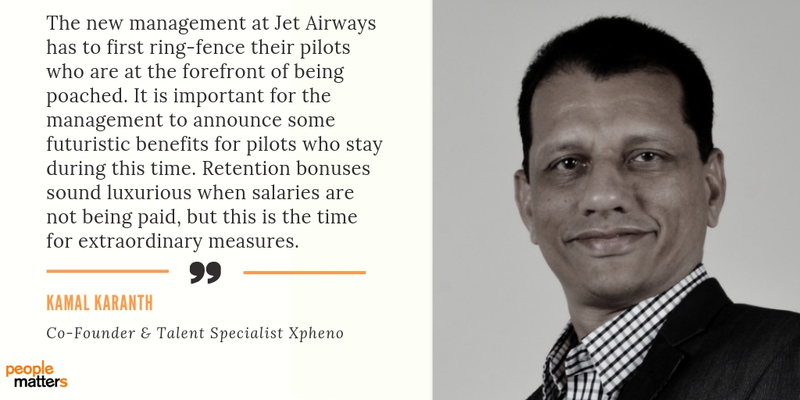 With the topic being so covered and talked about everywhere, it is essential that Jet Airways create internal promoters who can be evangelists to the larger employees. Although some employees have already left the company and some might be considering the option to quit, there would be some of them who even in difficult times like these, are able to stay committed to their organization. Torn between sticking with Jet Airways and safeguarding their own career, what should these employees do? What is the right approach in such cases? The future of Jet Airways now depends on the management and how they move step by step with the employees, gaining their confidence and building more trust. The cash-strapped company now has more responsibilities on its shoulders and a point to prove. Only time will tell if they are able to soar high from these issues and begin a new journey. Until then they will be the center of attention. If Jet Airways is able to come out of this crisis and retain its brand value, it would set a good example. With a new board in place, how will it ensure that is to something that is being keenly watched. NEXT STORY: Will MOOC make traditional training redundant?